by Benjamin Lallement, DevOps and member of the collective Gologic. 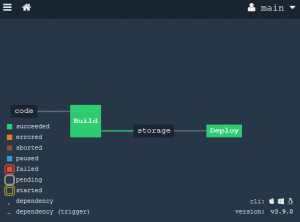 This series of articles explores various tools for executing pipeline-as-code and deployment. The goal for each article remains the same: check out GIT source code, compile a JAVA project with Maven, run the tests then deploy the application on AWS BeanStalk. Those steps will be written as code in a pipeline and executed with a CI/CD tool. 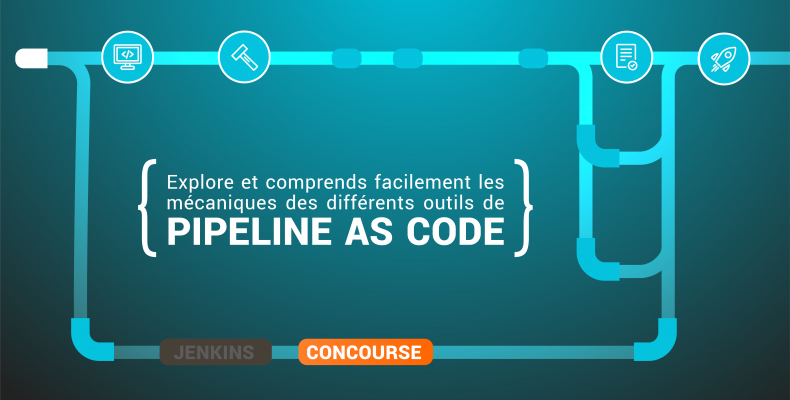 Before starting, let’s define two key concepts: Continuous Deployment and Pipeline-As-Code. What does “Continuous Deployment” mean? Continuous Deployment is closely related to Continuous Integration and refers to the release into production of software that passes the automated tests. “Essentially, it is the practice of releasing every good build to users”, explains Jez Humble, author of Continuous Delivery. By adopting both Continuous Integration and Continuous Deployment, you not only reduce risks and catch bugs quickly, but also move rapidly to working software. With low-risk releases, you can quickly adapt to business requirements and user needs. This allows for greater collaboration between ops and delivery, fueling real change within your organization, and turning your release process into a business advantage. What does “Pipeline as Code” mean? Teams are pushing for automation across their environments (testing), including development infrastructure. Pipelines as code defines the deployment pipeline through code instead of configuring a running CI/CD tool. For this second article, Concourse for our second article. You’ll find the first article by clicking here: #1-Jenkins. Concourse is a pipeline-based CI system written in Go. 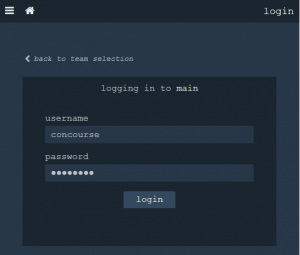 It is a very lightweight CI/CD engine that functions with a WEB UI and workers. The specificity of Concourse lies in the fact that all jobs are completely isolated and must respond to 3 events: get, task and put. Resources is used to retrieve (get) things for jobs and save (put) jobs results. Job is a set of tasks required to complete a pipeline. Jobs can be triggered from a GET step, for example by commit in a version control system, by a new version of an application in a S3 Bucket or Artifactory or any resource available. L’The fly tool is a command line interface to Concourse. It is used for a number of tasks from connecting to a shell in one of your build’s containers to uploading new pipeline configuration into a running Concourse. Install binary at Concourse Download section. Concourse is running, Fly is connected to it. Ready to rock! Concourse is a declarative-style pipeline rather than a scripted-style pipeline. Documentation is quite clear as long as the Concourse concept of resources and jobs are understood. In project, open concourse.yml and let’s take a look! This pipeline is an inline pipeline for the demo purpose but tasks in pipeline can be separated into files. eb init continuous-deployment-demo -p "64bit Amazon Linux 2017.09 v2.6.4 running Java 8" --region "ca-central-1"
fly -t demo set-pipeline -p demo -c concourse.yml --var "AWS_ACCESS_KEY_ID=MY_AWS_ACCESS_KEY" --var "AWS_SECRET_ACCESS_KEY=MY_AWS_SECRET_KEY"
The pipeline (concourse.yml) is in the application, it evolves at the same time as the application and is now under version control. Each code change will trigger a new pipeline job and redeploy to AWS, switch, and deploy! Unfortunately, a change to the pipeline is required to execute the set-pipeline command with Fly-cli. A nice improvement would be to execute a set-pipeline command directly if a change is made from version control (GIT) in order to skip a manual operation. Concourse is an extremely lightweight tool that requires a minimal infrastructure. Concourse requires very little click to see the pipeline results. Fly command is quite useful to interact with Concourse. Concourse focuses only on pipelines. It’s a stand-alone tool and it can needs a lot of external resources to run a pipeline. For a CI/CD orchestrator it can be useful to have built-in functions such as credentials or storage. Changes in pipeline (concourse.yml) are not triggered from a commit or change. Every change must be updated with the Fly-cli using the set-pipeline command, which can lead to unversioned pipeline changes. Concourse has no fine-grain authorization. Concourse debugging can be difficult.